Pretium Resources Inc. (Proponent) is proposing to develop the Brucejack Gold Mine Project, approximately 65 km northwest of Stewart, B.C. The proposed Project would be an underground gold and silver mine with a production capacity of 2,700 tonnes per day. The proposed project is subject to review under British Columbia’s Environmental Assessment Act and the Canadian Environmental Assessment Act. The Proponent must obtain an environmental assessment certificate before any work can be undertaken on the proposed project. However, prior to submission of an application (Application) for a certificate by the Proponent, Environmental Assessment Office of British Columbia (EAO) must first approve Application Information Requirements. The EAO held a 30-day public comment period from August 27 to October 10, 2014 on the proposed Brucejack Gold Mine Project Application/Environmental Impact Statement (Application/ EIS) which describes the project and the potential environmental, heritage, health, social, and economic effects of all phases of the project. Citizens were invited to comment on the Application/EIS online, by email, fax, mail or by attending an information session in Gitlaxt’aamiks (Sept. 8), Stewart (Sept. 9), Hazelton (Sept. 10), Dease Lake (Sept. 11) or Iskut (Sept. 11). After taking public comments into account, the Agency and the EAO will consider these comments along with the information in the Application/EIS in preparing the environmental assessment reports. 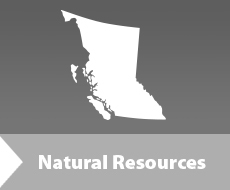 In an earlier stage of the consultation, the EAO held a 30-day public comment period from November 13 to December 13, 2013 on the proposed Brucejack Gold Mine Project draft Application Information Requirements (AIR) document. Citizens were invited to comment online, by email, fax, mail or to attend an information session in Gitlaxt’aamiks (Nov. 25), Stewart (Nov. 26), Hazelton (Nov. 27), Dease Lake (Nov. 28) or Iskut (Nov. 28). The environmental assessment process for the Brucejack Gold Mine Project will also include one last federal public comment period on the draft federal environmental assessment report, which will be advertised at a later date.